So the Man Booker Prize happened. And once again, I failed to read the entire shortlist before the prize was announced. This year was the closest I have ever come, however, as I finished five and was a third of the way through my sixth, His Bloody Project. This is the first year since I started this yearly tradition that all six were published in the US before the prize was announced; three of those were published in the preceding two weeks, so it was still a chore to read and review the entire list. For what it’s worth, here are my thoughts regarding Graeme Macrae Burnet’s contribution. 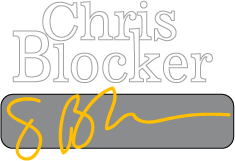 A few years back, the Man Booker committee was criticized for not offering enough titles with commercial appeal. I believe His Bloody Project is this year’s answer to that call. Though it’s set in a quiet village in a time before the world became overly noisy, this novel about a brutal murder bears much similarity to your run-of-the-mill murder/courtroom drama story that has saturated the airwaves for decades. That’s not to say His Bloody Project lacks depth or literary merit, but it’s certainly the Man Booker Prize nominated novel most likely to be adapted to screen in recent years. In grisly, heartbreaking detail, the story in the first half of this novel moves swiftly. The psychology of the characters and their stories, though told in simplistic fashion, are fascinating. Personally, I’m not a fan of court drama, however, so when the second half segued into testimonials and arguments, examinations and cross-examinations, my interest waned. Those who live for Law and Order will likely enjoy this novel thoroughly. 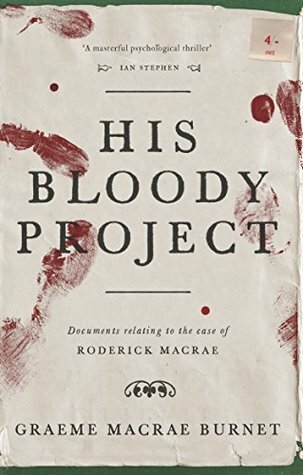 His Bloody Project was in many ways captivating, but it didn’t strike me as a Man Booker contender. It was well written, but there was nothing unconventional about its form or breathtaking about its delivery. Long term, it will likely outsell its shortlist contenders. Had I finished this novel before the prize and had time to consider its probability of winning, I would’ve placed it in the middle of the pack, less likely to win than Do Not Say We Have Nothing and Hot Milk, but a stronger contender than Eileen and The Sellout. It’s okay to be wrong sometimes.